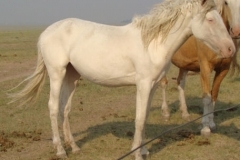 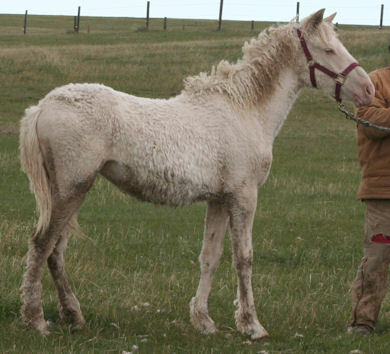 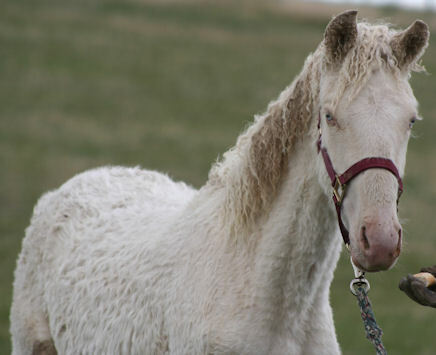 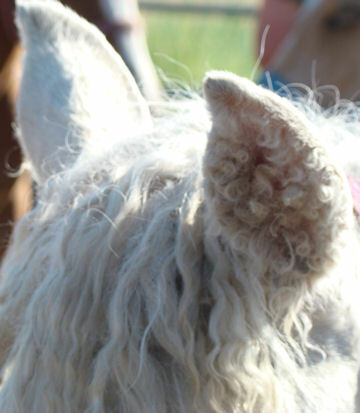 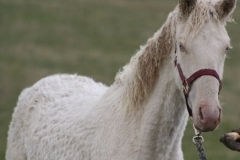 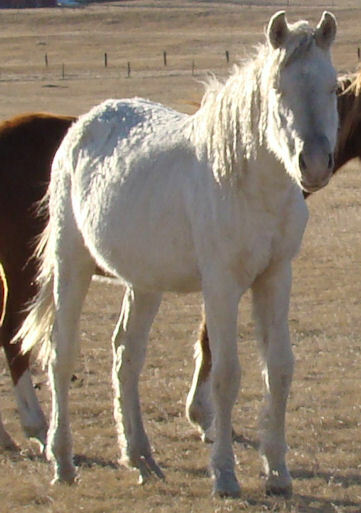 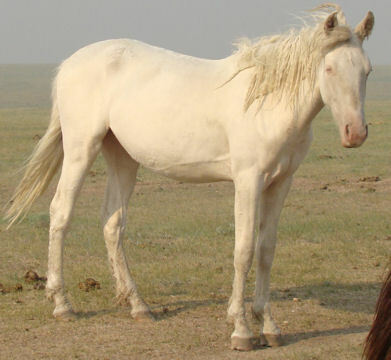 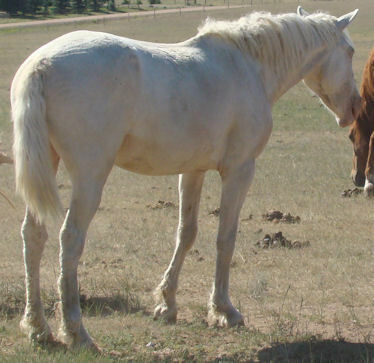 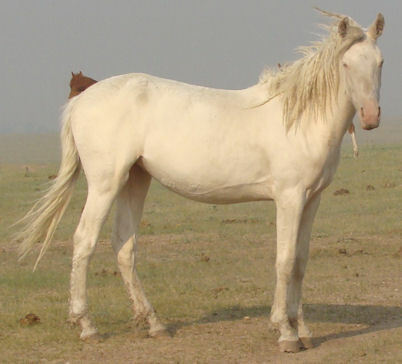 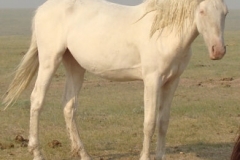 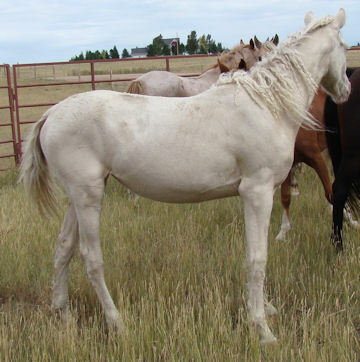 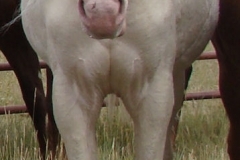 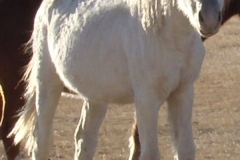 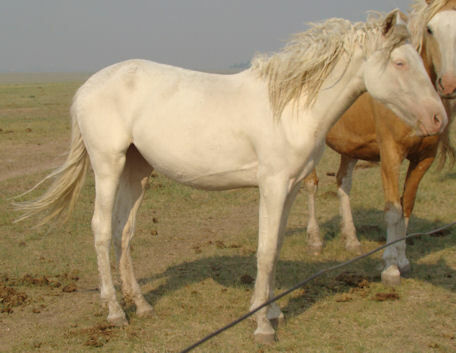 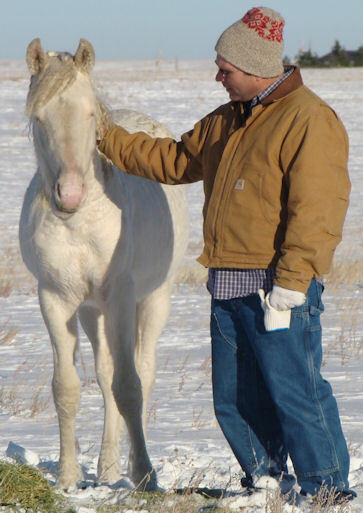 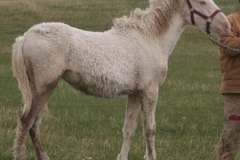 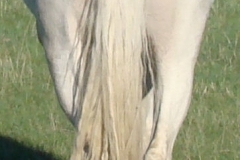 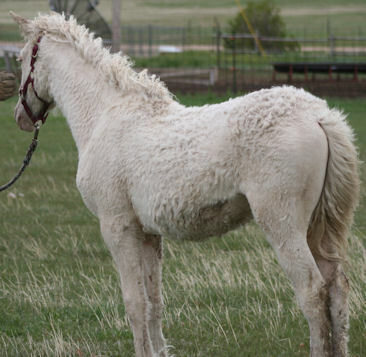 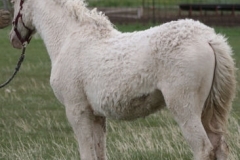 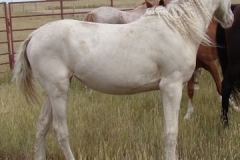 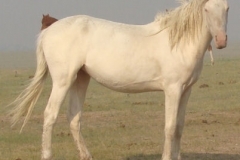 Lilly, a 2010 filly out of Bit-O-Wy Daisy by Bit-O-Wy Mellow, resembles a china doll with her white curls and blue eyes. 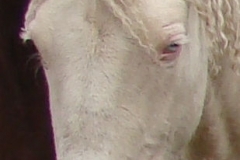 She is relaxed and curious. 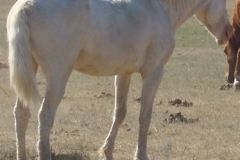 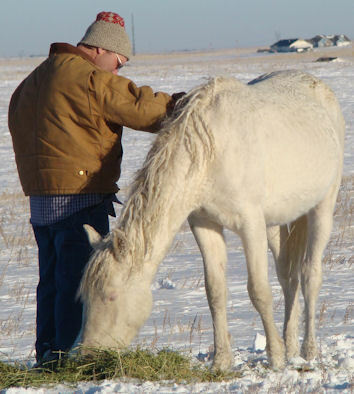 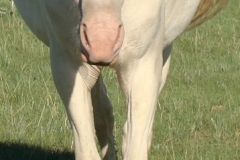 In the photo’s Lilly can be seen in her halter after about 24 hours of handling, running loose in a 480 acre pasture and standing to allow a person she has never met before approach her and pet her while she eats loose in the 480 acres. 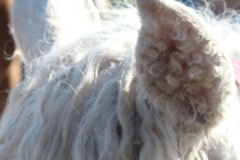 A sensitive girl, Lilly advanced through her kindergarten class with cautious willingness, but as she demonstrates while loose, she understands humans are the bringers of good things like, treats, dinner and pets.